Carlo Rubbia offered a remedy for the Fukushima problem and a prophylactic against similar future events. Every nuclear power station should have a second power station nearby which, by radiochemical reactions, converts all the waste to stable isotopes. Unfortunately, no state has been willing to bite the bullet and stump up the cost. Maybe Japan can be a first. Reading the garbage that Dr Matsumara has written here, I am not surprised he has said nothing about the ongoing Fukushima disaster and how Japanese management culture continues to contribute to the extreme severity of the issue, the lack of solutions and the extreme secrecy that shrouds it. Instead he’d rather castigate China for its economic policies and the way it reaches out to other countries than examine his own nation’s past policies of exploiting other countries for their resources. Rather rich, coming from someone living in a nation whose current Prime Minister (Shinzo Abe) happens to be the grandson of a former World War II war criminal (Nobosuke Kishi) who governed Manchukuo as his personal fiefdom and exploited that territory’s population and resources. Can we talk about how many refugees/migrants Japan has taken in over the last decade or so? Why should a country that is packed with people and doesn’t bomb other countries take in more people? Google the names Coudenhove-Kalergi, Gregor Gysi, Barbara Spectre, Bernard Henri Levy, Israid. The chart shows Japans population crashing down. What you can’t see is the 126.6 million that should be at the bottom of the chart. 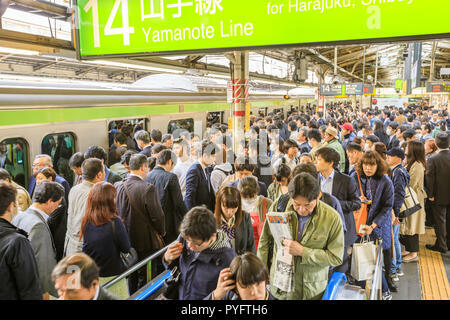 Everyone knows Japan is stuffed with people. In 1950, Japan was stuffed with 83.2 million people. Enough is enough. As the two previous commenters attest: this article is neoliberal propaganda. I’m surprised there was no mention that for the AIIB – all loans are $$$$ denominated. At least the author mentions the pushback and credit imperialism of China’s mega-infrastructure plan to concrete the whole of Asia Pacific – whether the indigenous locals want it or not. I’ve just spent quite a bit of time on more nuanced analysis on the previous forum. So this will have to do here: economics without thermodynamics is a magic moonbeam imaginatively-fed sky-flower. Unfortunately, all debts become burdens if growthism cannot be maintained. And growthism cannot be maintained – except by entropy denialism. Dream on, Doc, dream on. Don’t let the Laws of Physics interrupt your private reverie. Your own opinion, freely posted, uncensored, uncoerced …I have to ask, who is doing the controlling? JMGreer’s counter-image of Japan is that it will be the first ‘modern’ state to begin to revert to mediaeval social organisation,* as the Synergising Global Crises (climate shift; peak multiple commodities, not just fossil-hydrocarbons; the sixth extinction; weather/ecological chaos; inherently-long-term-unsustainable human population overshoot; etc.) overwhelm it. And now Japan has the – wholly unsolved – running sore of Fukushima on its hands as well; a problem not solvable at all by any currently-available human technology and human financing arrangements. Dream on Dr. Matsumura! For a decade or two longer. Or alternatively, face up to the realworld fact: that the – brief, highly abnormal – era of growthforever is now past. Crash back, survivor sort out, and slow struggling back towards viable planetary homeostasis. That’s the real future for which we need to prepare. Dump the still-current economics orthodoxies. They were tailored for that brief, highly abnormal historical period that’s now ending. They’re decisively obsolete. * Though former-Ukraine might run it a close second. From feudal serf to consumer spender to feudal serf. No mention of Fukushima, the high suicide rate, the undercurrent of suspicion and hatred of the Chinese and the exploitation of fly in fly out labourers. Back to the drawing board Doctor.